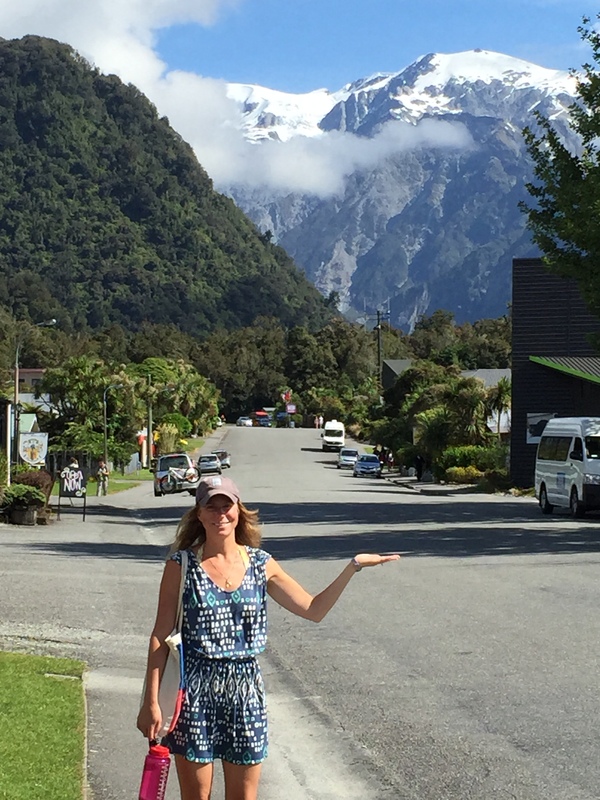 During the Christmas holidays, we took a two week KiwiExperience bus trip around the South Island. Over 15 days we slept in 9 towns and visited many more. I have divided the trip into 3 sections. This is the second: Franz Josef, Wanaka, & Queenstown. Alas, it was New Year’s Eve and we had plans to ring in the new year in Wanaka. The rain was steady so the bus made few stops en route. Once in Wanaka we had a few hours to kill before counting down to 2015. Looking to keep out of the rain we randomly chose a movie from Paradiso Cinema’s limited options. What we did on Vacation was surprisingly funny and the theatre was a hodgepodge of lay-z-boys, couches, and comfy seats recovered from assorted vehicles. It was a great atmosphere to relax and keep dry. I had envisioned Allen and I spending our final hours of a remarkable 2014 picnicking along the lake, enjoying wine and live music. The weather had different plans and we had to keep our private party inside until just after midnight when the fireworks lit up the lakeside town. January 1 the rain stopped and we leaped into the new year with a 43 meter bungee jump at Kawarau Bridge, the original commercial bungee. Ice Explorer trip canceled both days because of rain and clouds. Glacier valley hike allowed us to get close to, but not on, the glacier; 3 hours return. Hiked to Tatare tunnel- 300 meter cave with glowworms and stream running through. Totally worth the hike, but bring flip flops for walking through the water in the tunnel. Happy hours at Eighty Eight and Monsoon. self-catered meals from 4 square. Coffee and butter chicken pie (different meals) at Full of Beans. Pie was delish! 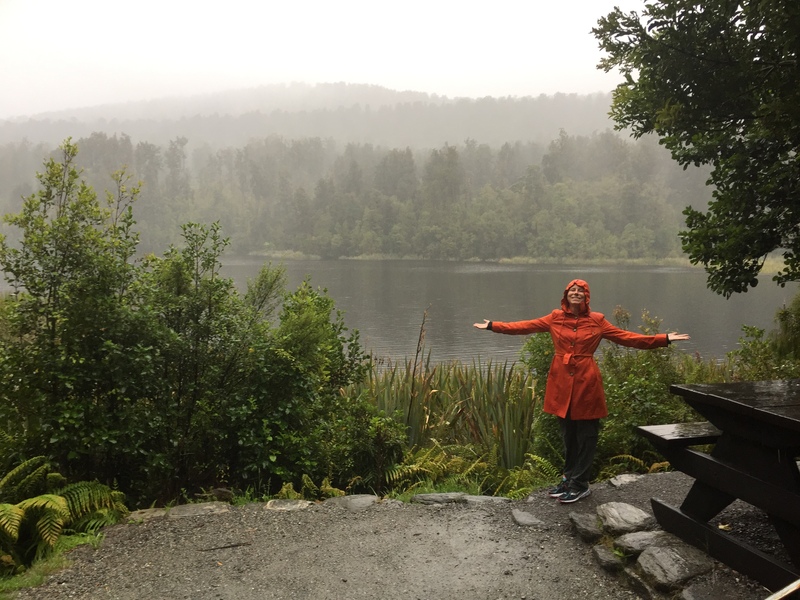 stayed 2 nights at rainforest retreat and 1 at YHA Franz Josef. Dorm rooms in both. Preferred YHA. beautiful weather in the afternoons. Viewed Lake Matheson on the drive into Wanaka. It’s known for reflective views, but the rain was not conducive to seeing reflections. Dinner at subway hit the spot. Watched What We Did on Vacation at Paradiso Cinema. Very funny! Rang in 2015 at Speights and watched fireworks over the lake. Puzzling World was cool, but I got frustrated with the maze and didn’t finish. Jumped into 2015 at the original bungy off Karawau bridge, 43 meter drop. Line at Fergberger was too long so went to Devil Burger which was an adequate substitute.